Nokia has been releasing a video every week for the “Amazing Everyday” campaign and the latest one features 2 videos taken in Spain. One in Madrid and the other in Barcelona, Nokia has installed a big Windows Phone at each location that allows passerbys to take a few minutes to try out the interface. Check out the videos for the 2 locations below. 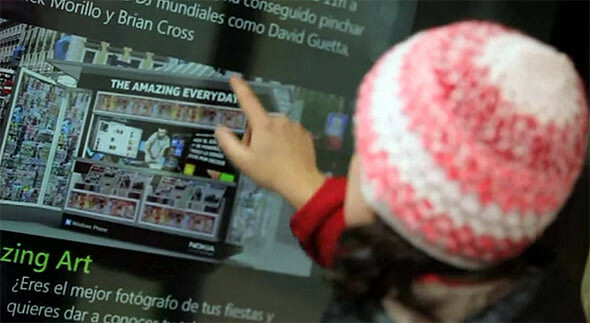 One Response to "Nokia Brings Giant Windows Phone To Madrid & Barcelona [video]"